Have you ever wondered what it takes to become a video game developer? I know I have and I can tell you it takes a lot more than just the desire to become one. Earlier in the week, I sat down with an old friend who happens to be a video game developer. 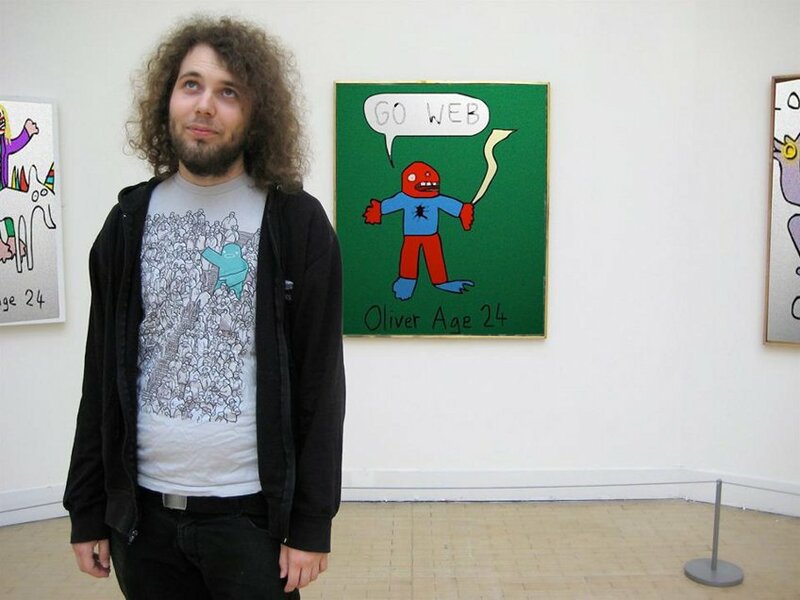 Oliver Hindle, also known as OliverAge24 is in the middle of creating his very own video game with his partner Ruby-Mae Roberts. The talented duo are in the final stages of a long development period and the game is due to be published by Bossa Studios and will be released on Steam in the near future. I wanted to know Oliver’s thoughts and woes around game development and find it what it’s been like not only creating your very first game but also working with your partner. 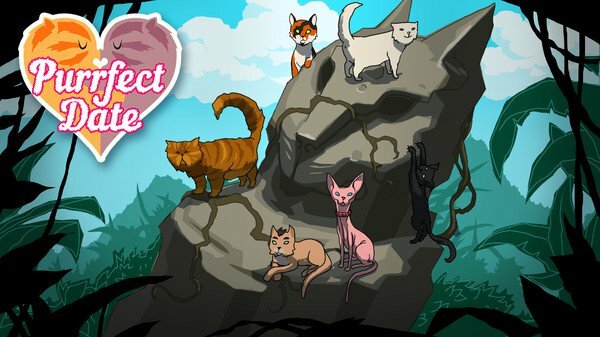 If cats and dating them is your thing, you might want to check out their game Purrfect Date, coming soon on Steam. Where does your interest in video games begin? My first console was a Commodore 64 that previously belonged to my Dad. I really liked the pixelated graphics and the music. From that point onwards, I’ve spent a ridiculous amount of times playing games. I’ve always kind of been interested in game development, but every time I tried to approach it, it seemed too complicated, so I kind of turned to creating music and videos instead. I used to be in a band that combined Pop Punk with Chiptunes, using Nintendo Gameboys as instruments. This led to me creating music videos on YouTube. After a few years of that, I started a new YouTube channel with parody drawing tutorials, called How To Draw Really Good. Much to my surprise, that channel went quite viral, so I drifted away from making music and YouTube became my full-time hobby. After a few years of that, I saw a job advertised to be an in-house video editor at Bossa Studios - The game studio that had just released Surgeon Simulator 2013. I applied for the job, via a ‘rap application’, and was successful. From there, I’ve been making all of the trailers for Bossa games such as I am Bread, Worlds Adrift, and Decksplash, while also learning more about how video games are created. I started Purrfect Date outside of work as a hobby project with my girlfriend Ruby-Mae Roberts. Bossa showed interest in the project and offered us a co-development/publishing contract after it successfully made it through Steam Greenlight. We jumped at the opportunity and have been working together since. Working on Purrfect Date has been really eye-opening for me, as I’ve realized it combines all of my other hobbies - making artwork, making music, telling stories through visuals… so it’s something I’m going to continue pursuing. What games have inspired you the most? Older games and series that I look back on most fondly are probably: Rollercoaster Tycoon, the original 2D GTA’s, Skull Monkeys, The Neverhood, Oddworld, Crash Bandicoot, Spyro, Mario. In terms of newer games, I love lots of indie titles like Super Meat Boy, Binding of Isaac, Fez, Thomas Was Alone, Night in the Woods, Limbo, Darkest Dungeon, FTL, and Undertale. I understand you are developing the game with your partner, what’s the working relationship been like? It’s been really good. Mostly we’ve worked quite independently. Ruby worked mostly on the writing for the game, while I’ve been working on the music and coding. So we’ve not really been stepping on each other’s toes, and have trusted each other on our respective areas. What can people expect from Purrfect Date? It’s a cross between a visual novel and a dating sim. It’s set on one of those islands near Japan that are populated almost entirely by cats. You play as a research assistant that’s sent there to help a small research team investigate the Island’s mysterious properties. We took inspiration from the TV Series Lost, so whilst you’re on the island, there are lots of weird goings-on and mysteries to unravel. One of which results in you being able to communicate with the cats on the island. From there, you need to balance your stats as you date the cats, conduct your research, and carry out your own investigations into the island. Now that the game is nearly finished, is there anything you wish you’d done differently? I think we’re really happy with how the game has turned out, so I don’t think we’d do anything too differently from that perspective. The biggest thing I’ve learned though is that, no matter how small you think the game is going to be, it’s going to end up being much bigger and take much longer. We originally thought the game would take 2 or 3 months to create… but here we are 2 years later lol. The game is much bigger and better than we’d originally envisioned too though, so it’s mostly a good thing. The best thing is that it gives you a chance to tie lots of different creative hobbies together, into one project. Also the feeling you get after you spend hours not knowing how to get something to work, and then suddenly it works as you intended… is pretty awesome. The worst thing is probably the whole time up until that point, where you have literally no idea what you’re doing and question ever becoming a game developer, the meaning of life, or why you are even alive. You always figure it out in the end though lol. Any advice you could give anyone looking to get into game development? Just start doing it! Also, don’t start huge projects! Go for small ones, and constantly check yourself when you’re debating adding extra features or making the game bigger. What does the future look like for Bae Team? Mostly, we’re just focused on finishing this game. Then we can think about sequels, or prequels, or just entirely new games. I think one thing we’re really keen on, is the narrative side of game dev. So I imagine anything we do work on in future, will also play into that. Ruby has two of them, and we both love them. Cats are awesome. If in doubt, cats. I’d like to thank Oliver for taking the time out to talk to me as I can only imagine how busy he is with developing the game. Make sure you check out the game on Steam and visit his YouTube channel at the links below.